The MSE camp had its share of talented guards, forwards and big men for 4th, 5th, 6th, 7th, 8th & 9th grade. Many players traveled from 50 states in America including Hawaii; The District of Columbia, Puerto Rico and Canada. Kolin Lewis (MD) – He’s capable of playing all five positions. The 5’4 versatile athlete has good instinct. Lewis managed to have his way on the basketball court. It’s no doubt that he will go far. Keion Brooks (IN) – Put this 5’7″ kid on top of the charts. He drained threes consistently. He filled the stat sheet with Kevin Durant numbers. He gets nod for best player in his division at camp. 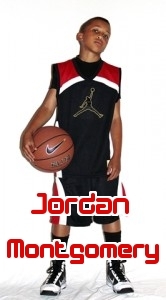 Jordan Montgomery (CA) – Equipped with immaculate skills, the Young Baller went straight to work. Battle tested, Montgomery played with a die-hard mentality. He took on all defenders and didn’t shy away from body contact. Tyler Brelsford (DC) – He’s a smart player who confronted the situation. He recognized mismatches and fed big men in the post. He took full advantage of the national spotlight and got big time exposure. Gabriel Jimerson (VA) – He’s 5’5 and plays the 1, 2 & 3 position. On fast breaks he made the middle and outlet pass. He also made tough lay ups with his weak hand. Look out for him. AJ White (IN) – Has a football built with basketball skills. He commands respect and is difficult to contain. He looks to strike from the wing and baseline area. He’s a good executor. Richie Thompson (Canada) – He may grow as tall as his dad who is 6-6. Thompson gave his team the push needed when it counted. Once he adjusted there was no stopping him. Sean Q Willis (IL) – He pushed the rock in a blur and quickly found the open man. He played aggressive defense and scored in multiple ways. He has a good point guard skill set. Kyree Banks (MD) – His crew made a lot of noise on day two of camp. The floor general always tried to beat the play. He proved to be a team leader by constantly communicating on offense and defense. 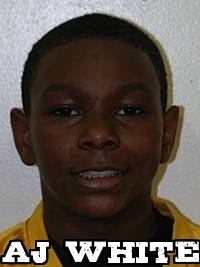 Simon Banks (IN) – He was a superior player at camp. Banks handled and shot the ball very well. He has good size and nice upside. Wanted to know when you’ll have a camp close to Louisville? Have a 4th grader named Jacob Jones out of IN that’s ready to showcase. Went up to Indy this summer, played a grade up and still flourished. Who did you play up with in Indy? We have kids that were in the 3rd grade this past summer lead their team to a 3rd place finish at Nationals. They were third graders playing up by two grade levels. They won 3rd at 5th grade Nationals.Their names are Langston L Boogie and Jalen J-Sizzles Suggs. He undoubtedly is the best player in country at his grade. 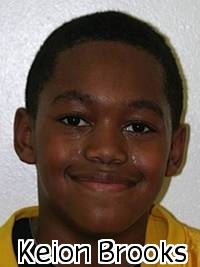 On the same team there was a fourth grade phenom point guard named Tyrell Terry. He was amazing at Nationals. You can find their films already on Youtube from this years Nationals. You also have to take a look at 6’2″ 5th grader named Giovonni Smith who I guarantee is the best big man in his class at that age. All these kids are from Minneapolis Minnesota where Kyler Kluge is from who MSE have rated as the 15th best player. 5th Grade (2019) Boys AAU/Travel Basketball Weekly Workouts/Tryouts will begin this Saturday (Indiana). We provide a program that consistently focus on improving the players individual and team skills. Thanks for some other informative web site. The place else may just I get that type of information written in such an ideal way? I have a project that I am simply now working on, and I’ve been at the glance out for such information.